Teye has established himself as a builder of electric guitars. 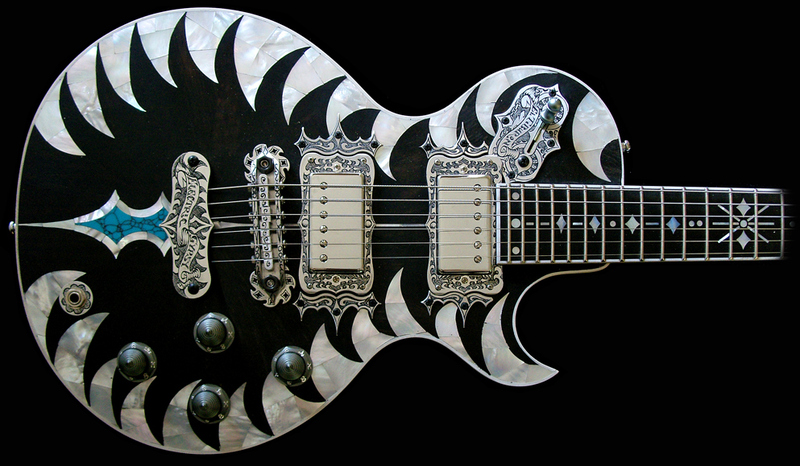 Befriended with Tony Zemaitis, he also often equipped his guitars with etched aluminum plates on the top, achieving "stunning looks". His Electric Gypsy La Llama was praised by Guitar Player as a "dazzling piece of guitar artistry." An unusual feature on some of Teye's guitars is a "mood" knob, which to a Guitar Player reviewer sounded as a mid-cut control, and "exponentially" increased the number of tones available. Teye™ guitars are hand made in Austin, Texas. All series are made from scratch in Teye’s workshop featuring the same construction, wood, tuners, and all guitars come with the Teye™-shaped pickup rings, and with a Teye™-bridge and -tailpiece. Teye™ Guitars is not a company that shies away from extravagence. Their guitars are artful creations, as much masterpieces as the songs they've been used to write and perform. Featuring opulent engravings, fine-tuned electronics, semiprecious stones, and dizzying designs, Teye™ guitars are more than aesthetically pleasing - they're designed to sound just as good as they look. If you want to stand out in a crowd, Teye will have the guitar for you.